I love to garden especially this time of year. These peat pots from Ramini Brands are great. They are biodegradable so they break down easily. Another thing that I really try to spend some time on is finding products that are good for the environment. 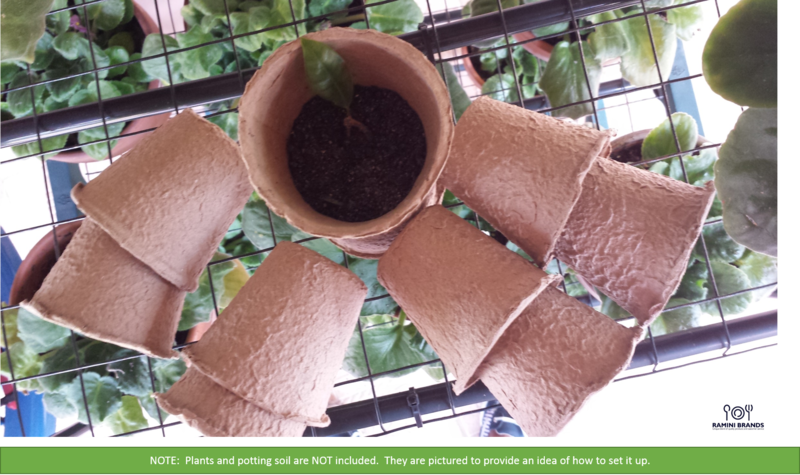 These peat pots are great because they are perfect for gardening in a environmentally friendly way. I like to use these for seedlings. So I start them out in the peat pots and then transfer them to the garden later. They are really cheap so they won’t break the bank either. I love them for in the house use. They are small and easy to use. However, as you can see in my video keep them away from pets! Our new puppies found these laying on the living room table and tried to eat them. • Each pot measures approximately 3″ x 3 1/4″.